Fall asters come in a range of beautiful colors and have very long bloom times. I have been so glad that milder air returned this fall. With so many things that need attention in the garden, I’ve been very busy. 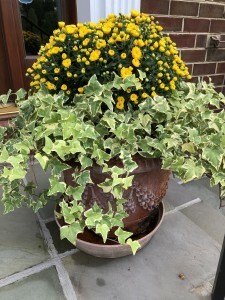 I have a step-by-step list of what to do when in the garden, and this autumn brings us to the end of the growing season. 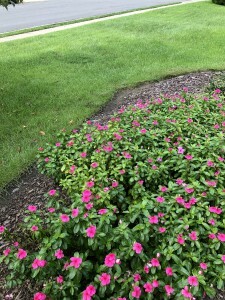 Lawn renovation is a top priority, but there are also many other needs: cutting back perennials, transplanting and removing bushes, and painting. First, I found these lovely asters in the garden center. 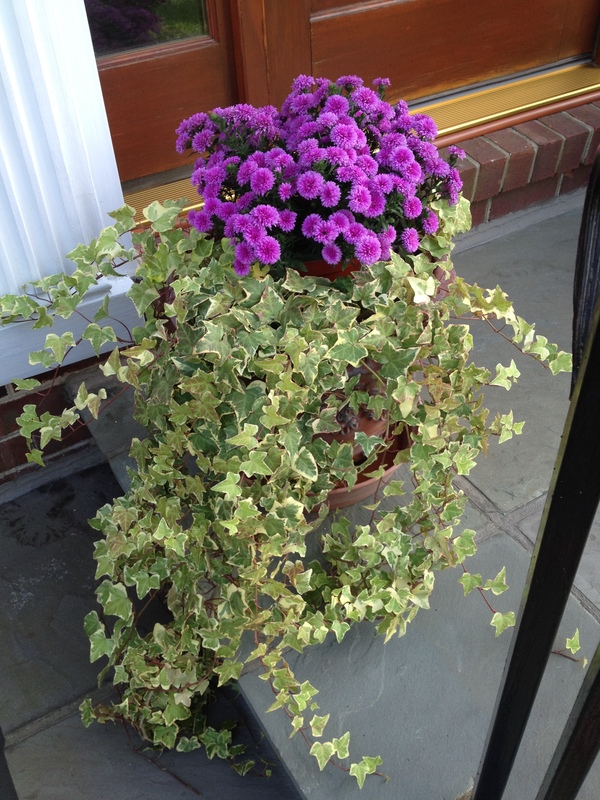 I put them on my front porch front door to inspire me — so vibrant! 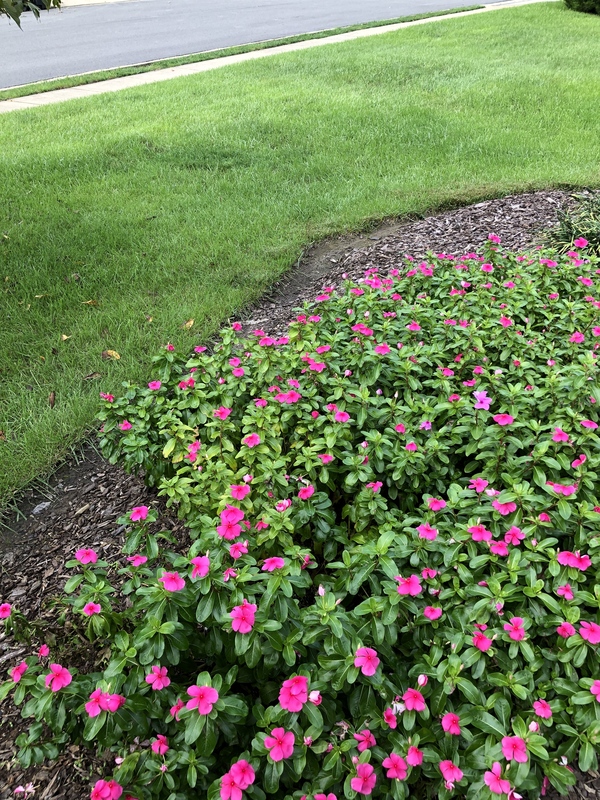 — and got to work on the front lawn renovation. 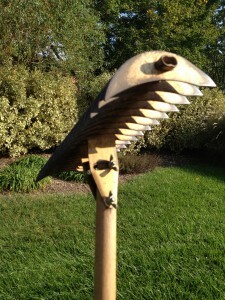 This is a terrific thatch rake. I love the adjustable feature - very ergonomic! 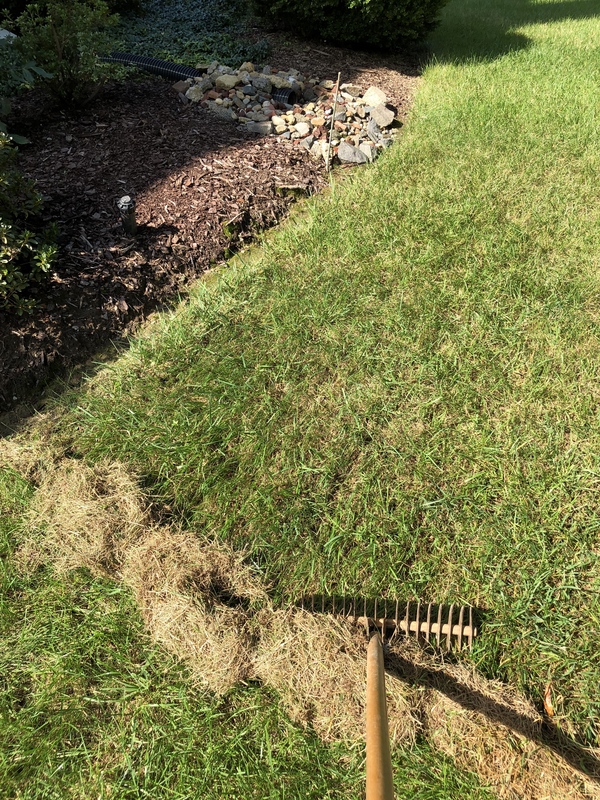 This year, being intensely hot, wreaked havoc on the grass. 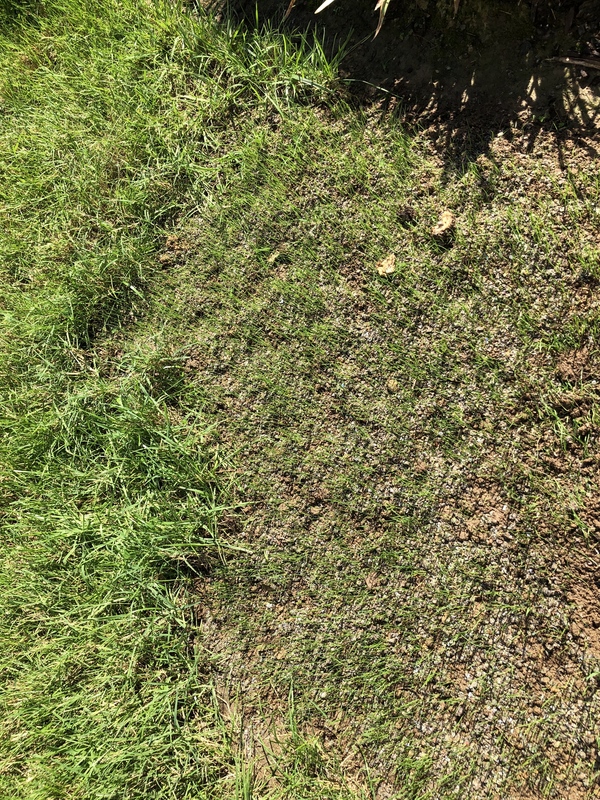 It was completely brown and dormant with terrible bare patches. 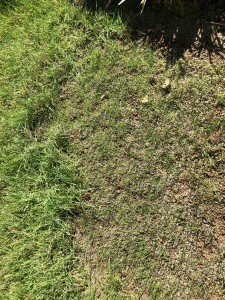 It takes real work to bring back grass that has been that damaged. 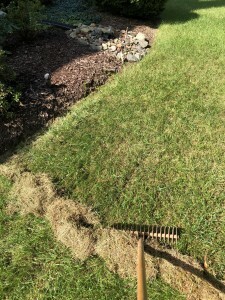 I am a believer in dethatching with a hand rake – it is less damaging to the roots and gets all the compacted trimmings out. My father gave me his rake a few years ago. It has an adjustable handle which makes the task a little bit easier. Even so, it was several hard days work to finish (wear gloves!). Next, soak the ground with the sprinkler for a day or so. 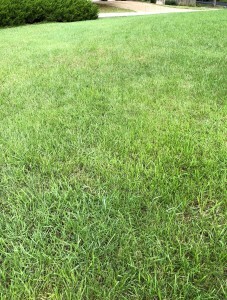 Using a hand spreader, layer starter fertilizer and an overcast of grass seed. Lightly scratch the surface to bury the seed. 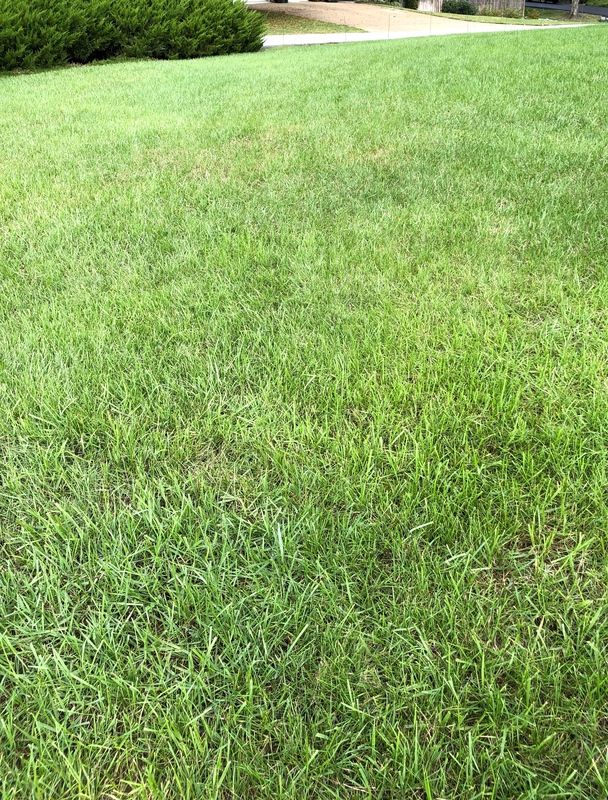 Be diligent about watering everyday for a couple of weeks, and you’ll have a gorgeous fall lawn! 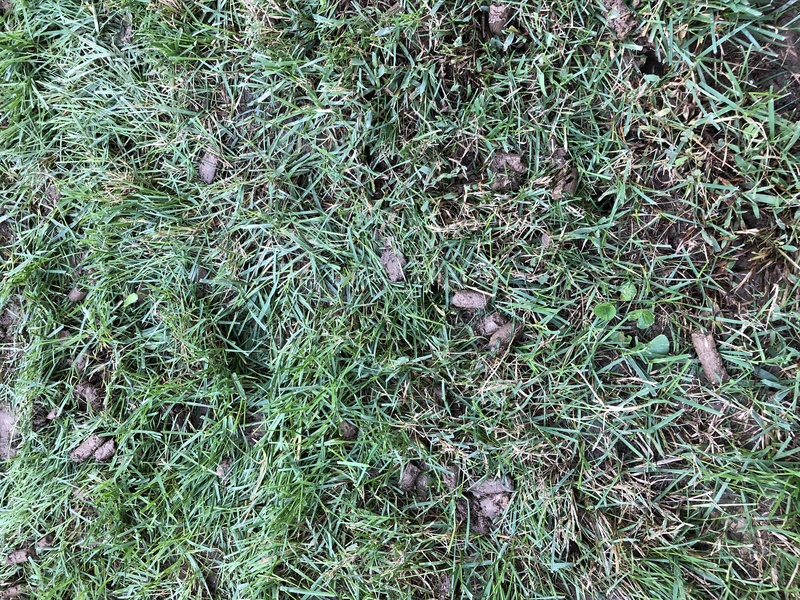 In my growing zone (Northern Virginia), I put down new seed by mid-October. 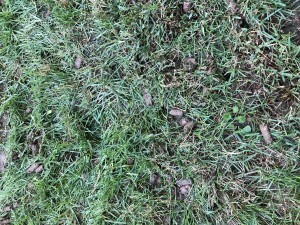 That gives the new grass a good chance at developing hardy roots before frost. Check http://planthardiness.ars.usda.gov/PHZMWeb/ to find the statistics for your local zone. I also removed some Japanese hollies which became diseased due to the snow damage of a couple of years ago and am replacing them with some variegated euonymus along the front walk. I like to do all bush transplanting in the fall whenever possible, but no later than Thanksgiving. That is also the magic date for planting bulbs. You want to give them time to spread their roots to anchor themselves against winter winds and heaving from frost. 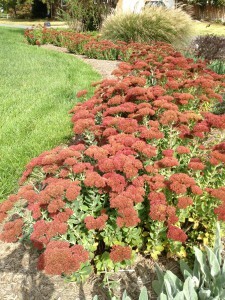 The sedums are one of the few perennials that I don't trim back in the fall. They provide seeds for the birds during winter. This is also the time of the year to cut back the perennials after they die. I cut to ground level the daylillies, hostas, coreopsis, and other summer flowering varieties. I also neaten up some of the ones that I don’t cut back until spring, like the butterfly bushes, and rake out the lamb’s ears of the dead undergrowth. To give a nice backdrop to it all, I gave the trimwork, railings, windows and arbors a scrub and a coat or two of paint. The mild weather helps the paint to cure properly and last a few years. Well, that takes us full circle in the garden for this 2012 growing season. I hope you all have had a wonderful autumn, filled with the colors of the season.